Snowy: Puzzle Islands is an adventure through a colorful world made of switches, moving platforms, teleporters and locked gates. Your goal on each of the game’s 30 levels is to use these objects to help Snowy reach the exit. Along the way, you can collect fruit bonuses and other goodies. Puzzle Islands features a level campaign for serious thinkers as well as an easier level campaign designed to teach kids simple logic skills. 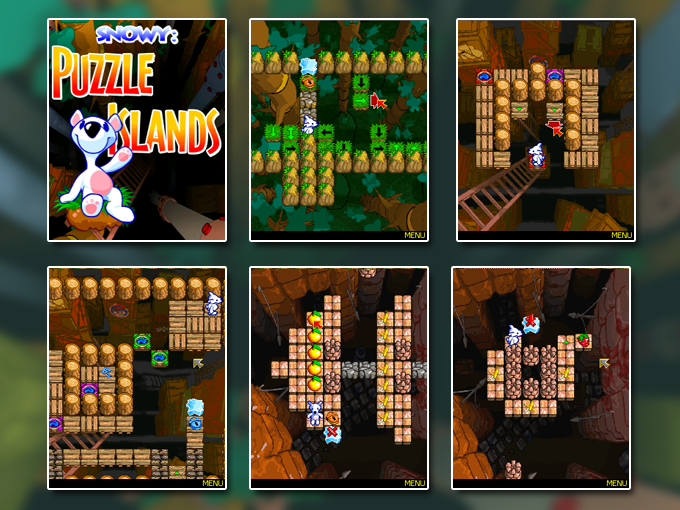 Whether you’re a seasoned puzzle game fan or just want to perform simple tasks while enjoying vibrant graphics and pleasant music, Puzzle Islands will appeal to you. An adorably challenging game for players of all ages.